Applying to the Deloitte graduate scheme or internship program? Standout from the crowd and prove that you are the most qualified candidate for the job. Prepare with JobTestPrep for your Deloitte assessment test and beat out the competition. Start Practicing today and apply with confidence. Deloitte is an audit and professional services reputable global firm. Together with KPMG, PwC and Ernst and Young, it constitutes the well-known Big Four leading firms of today's financial services world. Deloitte offers graduates and school-leavers a wealth of career opportunities in the fields of audit, tax, technology, corporate finance and consulting. Read about the recruitment process on this page. The Deloitte recruitment process has a variety of different stages to it and we will go through each one that you can expect. This way you will be fully prepared for any surprise as well as having the opportunity to practise any task they may throw at you. Communication – You need to show that you are expressive, clear, and concise. Achievement of goals – You need to show commitment and motivation in achieving success. Commercial awareness – You need to be aware of any market changes and how they affect the company. Career motivation – You need to demonstrate knowledge of your chosen career path and what it involves. Planning and organisational skills – You need to show that you have good time management skills whilst not losing track of the end goal. Adaptability – You will need to show an ability to accept change whilst staying positive as well as being resourceful in the change itself. Problem solving – You need to show an ability to analyse problems and come up with new, contemporary solutions. As well as this, you need to show how you can motivate other people as well. Once you have completed the Deloitte online application form, you will move onto the next stage of the application process, the Deloitte aptitude tests. After your online application has been screened and checked through, if you are successful you will be invited to do the Deloitte numerical test. The Deloitte psychometric tests are provided by Kenexa, a leading company producing these tests. In this test you will be given financial and numerical data in the form of tables, graphs, and possibly paragraphs of information. You will then be asked a question and given four or five different options to choose from as the correct answer. If you come through the Deloitte numerical reasoning test you will be sent a link to the Deloitte Kenexa verbal reasoning test. This test will assess your ability to comprehend a paragraph of information with often a number of different facts. You will then have to answer multiple choice questions using your analytical skills to deduce the answers from the text. Once you have successfully completed the Deloitte online numerical test, you will be sent an invitation to do the Deloitte e-tray exercise. You may be asked to come to one of their offices but in the main, they have moved away from this and you will now only get this test online. For a complete rundown on this exercise click here. In addition to this e-tray exercise, you will be sent a number of questions, known as the Deloitte service line questionnaire. It is not part of the screening process, but it's an opportunity to select the right course for you. Once you have finished this stage you will move on to the second stage of the application process, the Deloitte interview stage. Tell me about a time when you had to plan for something? Tell me about a time when you had to present something to an audience? Tell me about a time when you worked in a team? Why did you choose Deloitte and not another one of the big 4? Describe the current business environment? To answer these questions it is advisable to check out JobTestPrep’s interview success package where you will find a wealth of information both relating to you and to the interviewer. If you are applying for role within consulting then you will have to go through other exercises as well. The first one will be the Deloitte group exercise where you some information and you will have to debate it with the other candidates on the day. Remember to bear in mind the key competencies as this is what you will be assessed on. Moreover, the more you incorporate them into the day, the more highly you will be regarded. The other exercise that you will have is the Deloitte case study and presentation. In this exercise you will be given a short, topical case study with your invitation email. You need to go through it and then make a 10 minute presentation to one of the assessors at the Deloitte assessment centre. You will also be asked various questions relating to your presentation. For more information on how to tackle these exercises click here. 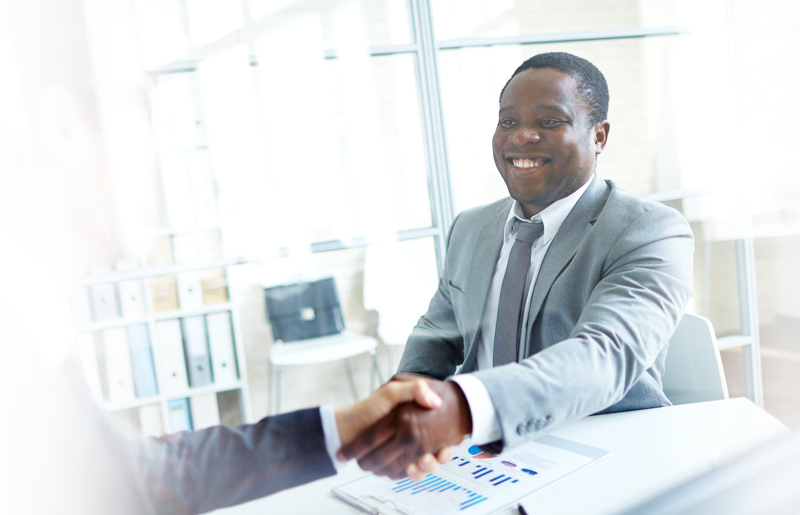 If you have done well enough on your first interview you will be invited back for a second one. Whereas the first one was with a member of the HR team, the second Deloitte interview will be with your prospective manager. This will not be the only activity of the day as you will also need to give a presentation here as well. You will be advised before the day on a topic to present and you will have to prepare a five minute presentation with a further 10 minutes of questioning. You may have had this presentation exercise in the first interview. Once this is over you will have the main interview with a manager or partner of Deloitte. This interview isn't a competency interview but it really just a check over of your previous Deloitte interview. With correct preparation and practise you will be able to show that you are the best person for the job. Deloitte and other trademarks are the property of their respective trademark holders. None of the trademark holders are affiliated with JobTestPrep or this website.